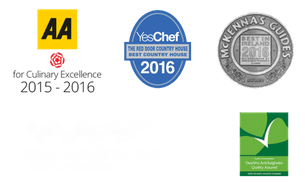 The Red Door Country House in Fahan, Co Donegal has been announced as the AA’s ‘Guest Accommodation of the Year’, an award bestowed to the best AA accredited Bed and Breakfasts, Guesthouses and Farmhouses in Ireland. 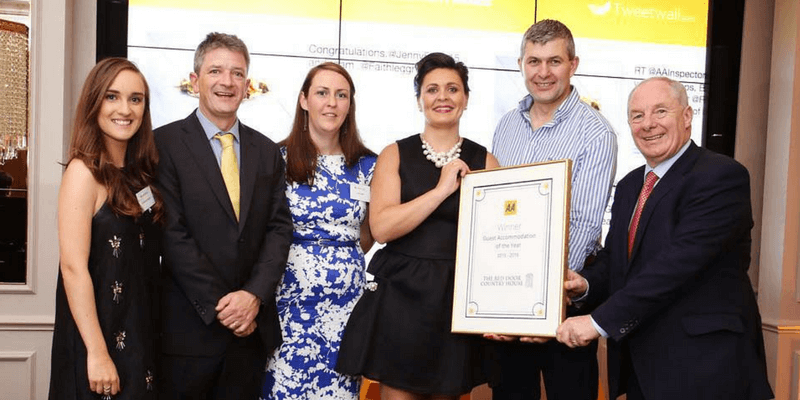 The award was presented by Minister of State Michael Ring at a prestigious ceremony in Dublin’s Westbury Hotel on Wednesday evening (16th Sept). Run by husband and wife duo, Adelle and Shay McCallion and managed by Dominic Barr, the Country House employs a team of 30 staff, all dedicated to delivering culinary excellence and hospitality. The Red Door currently holds an AA Rosette for culinary excellence, awarded as a result of a carefully selected menu, locally sourced ingredients and exceptional cooking. The Guesthouse is renowned for its evening dining and alfresco lunch offerings, and also provides a relaxed and cosy vibe for guests wanting to avail of its full breakfast.